Who says Czech cuisine has to be hearty and plain? Young, innovative chefs are reinventing Prague’s culinary fare – with dishes that combine tradition and modernity. We present four examples of superb taste. Young couple heaves a pram up the narrow steps into the bistro. The space is a single, large room with modern furnishings. ­Sunlight pours through the windows onto light coloured wooden tables. ­Outside, bearded men in lumberjack shirts and women in neon-coloured trainers stroll past cool, enticing shops in the old buildings. We could well be in the middle of Brooklyn, but this is Prague. Behind the bistro’s imposing vitrine stands an apron-clad young woman who hands an elegant porcelain plate bearing two modest-looking sandwiches to a man wearing a business suit. On closer inspection, the thin sandwiches turn out to be works of art – jam-packed with the most varied ingredients and colourfully garnished. The man has chosen a version with whole prawns, boiled eggs, mayonnaise with herbs, and garden cress. It is just before one in the afternoon. “Our rush hour,” says Hana Michopulu, founder of Sisters Bistro. The fast food reflects the pace in this part of town, and the gourmet ­quality meets the demands of her guests. Hana Michopulu, who is known throughout the Czech Republic as a cookbook author, is one of the trendsetters among a new generation of chefs and restaurant owners. I have always been fascinated by Scandinavian cuisine. Nordic and Czech ingredients complement each other perfectly. INFLUENCES Traditional Bohemian cuisine is related to Austrian and Hungarian cuisine. The hearty dishes are also reminiscent of recipes from southern Germany, Saxony and Silesia. PRIDE Svíčková – tender larded sirloin served with cream and dumplings – is a popular Bohemian speciality. VARIETY Knedlíky, the famous dumplings, come in many varieties – such as bread dumplings, potato dumplings or fruit dumplings. The dough should rest for hours beforehand to make sure the dumplings are light and soft. SOUPS Soup has a special place in the Czech heart. As an old Czech saying has it, “Soup is the foundation, meat is the conclusion.” Czech soups are usually cooked with savoury stock, vegetables, pulses and mushrooms. WINE The Czech Republic can look back on a long tradition of brewing beer. However, local wines are just as popular. South Moravia is the country’s most famous wine region. The regions of Litoměřice and Mělník in central Bohemia are becoming more important – look out for the grape varieties Müller-Torgau and Grüner Veltliner. EVENTS National specialties are celebrated at a variety of food festivals. The Fish Festival at Třeboň in South Bohemia takes place on 19–21 August, 2016. The Prague Food Festival (May 27–29) and the Gastrofest in České Budějovice (November 4–6) also have plenty to offer. The Vltava runs through a region with a fond focus on food, generally of the hearty variety. Menus commonly lead off with a dozen fish and poultry dishes, roast sirloin, dumplings and cabbage. For a number of years now, a new trend has been evident: talented chefs are developing their own styles. They are giving regional fare an international touch, or orienting their menus towards sophisticated European tastes – a fusion on the plate. More and more Czechs enjoy good food and are also willing to spend money for it. As enjoyment rises, so too do expectations: patrons want to be surprised every time they visit. 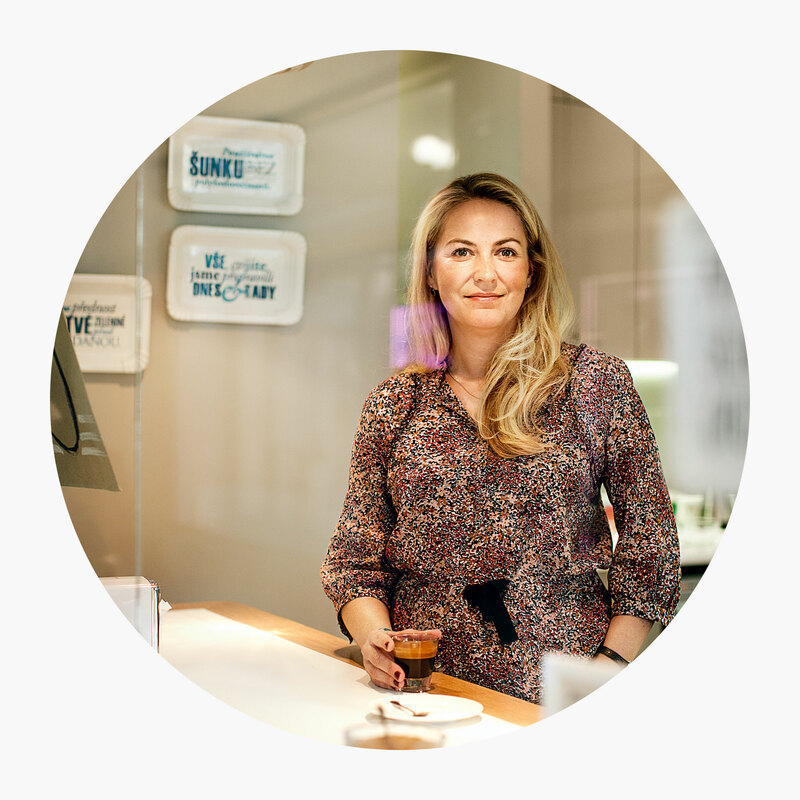 Together with her sister, Hana Michopulu opened Sisters in Palác Dlouhá, a hip arcade lined with delis, in early 2014. She has since been breathing new life into a traditional Czech speciality. 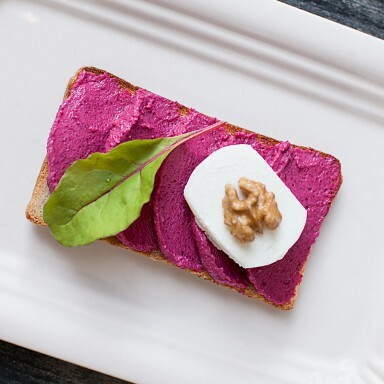 The already popular open sandwiches known as chlebicek enjoyed increased popularity at the beginning of the last century, especially in Bohemian circles. Back then there was a vendor on almost every corner offering sandwiches and substantial salads. What Sisters currently offers at its counter and tables can be thought of as this kind of fare with a contemporary facelift. The best of the North, including dill, scrambled eggs and marinated fish filets, is combined with Czech classics such as beetroot, gherkins and ham. The bistro also offers hearty soups, raw vegetable salads and sparkling lemonades. In short, a concept of good taste that instantly won over the discriminating palates of trend-conscious patrons. 1. Steam the unpeeled whole beetroot until soft. Or wrap the turnips in aluminium foil and bake in the oven for one hour at 180 °C. Allow to cool. 2. Cut the beetroot or turnips into large pieces. 3. Put the pieces into a mixer together with the white bread, vinegar, garlic, walnuts and salt, and blend to a creamy consistency. 4. For a softer consistency, add the yogurt to the blend. Spread the mixture generously onto the smörrebröd. Place a slab of creamy goat cheese on top and garnish with a lettuce leaf and half a walnut. 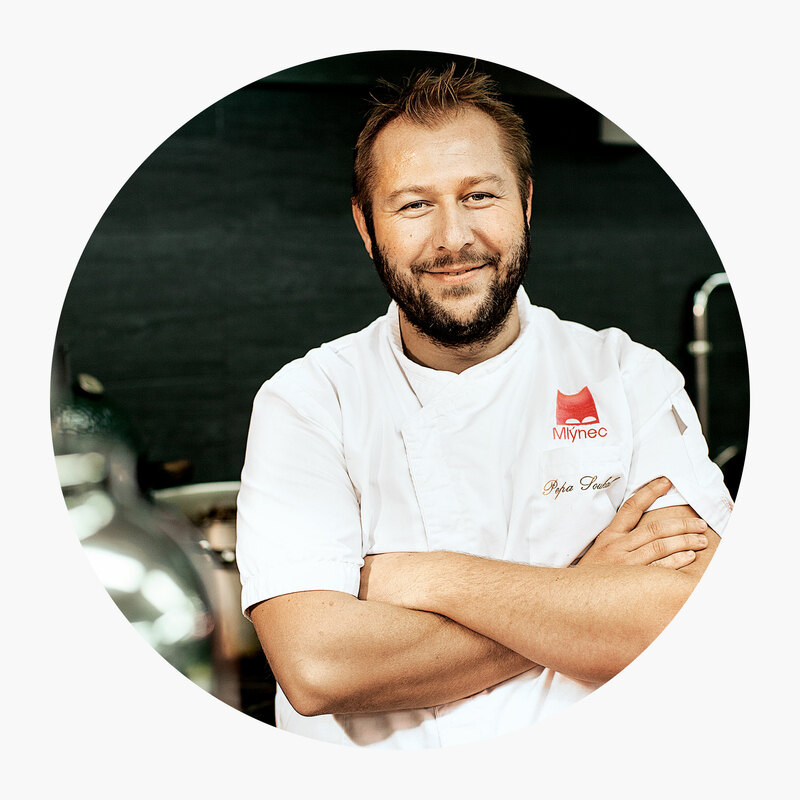 Mlýnec is on the to-do list of many connoisseurs of fine food when they ­visit to Prague. Located on the River Vltava right next to the Charles Bridge, this restaurant has splendid views of the bridge, the Castle and the Old Town along the riverbank. Tradition on the outside – and the inside. The interior takes a playful approach to the past. Its opulent wallpaper is stylish once more, and its lighting is refined – classical meets modern.Mlýnec is devoted entirely to “nouvelle Bohemian cuisine”. 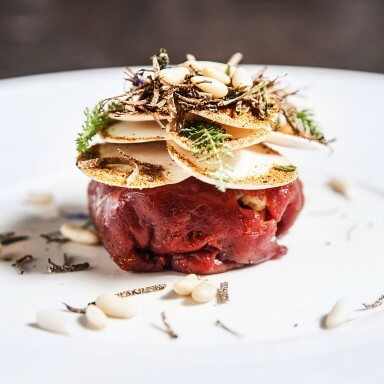 The culinary team is especially interested in forgotten meat dishes “à la granny”, but reinterpreted with modern gusto in experimental and cosmopolitan ways. The restaurant also offers a wide selection of fish dishes, along with select wines that are increasingly of Czech origin. 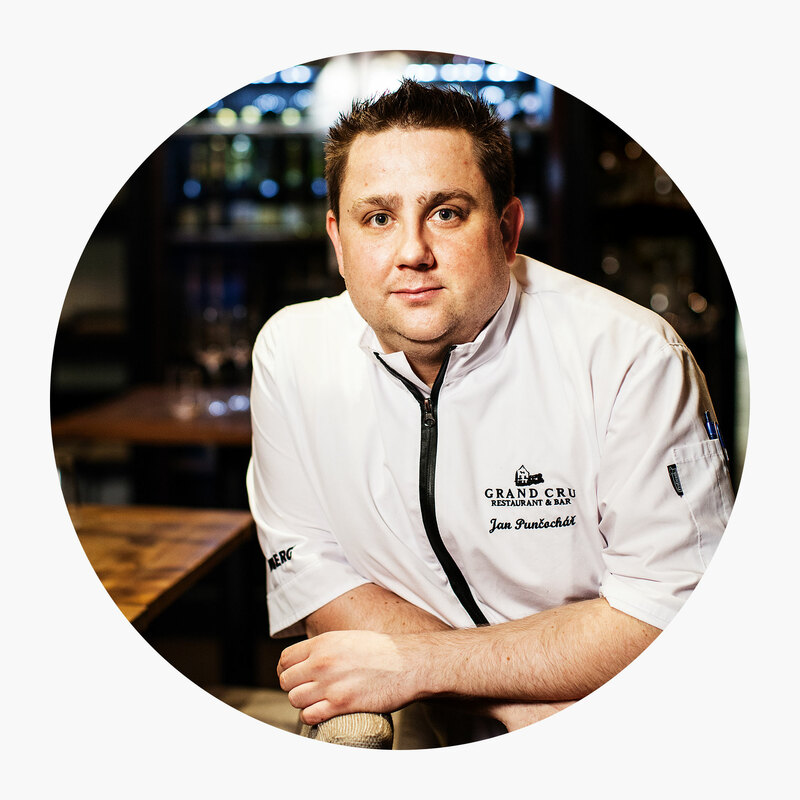 “We are elevating local recipes to a higher level of gastronomy, and preparing the ingredients in completely new and surprising ways,” says chef Josef Soukal. If you decide on the duck leg confit, for example, the red cabbage will not be served in classic braised form but rather as foam that packs a burst of flavour. The meat is not just roasted until it’s done, but is rather simmered for six and a half hours in the oven at 80 °C. Slightly acidic aromas of fresh vegetables, melted butter and citrus waft from the kitchen. This is the fragrance of an innovative culinary world. We’re the first stop in Prague for many of our guests. They fancy granny‘s recipes, just with a modern touch. 1. Cover the duck legs with the duck fat and simmer in the oven at 80 °C for 6.5 hours. 2. Boil the potatoes for 25 minutes, peel and mash until smooth. 3. Cool the potatoes and add salt. Then add the flour and a whisked egg. Knead the dough and form into rolls. 4. Remove all the bones from the duck legs, season with cumin, salt and pepper, and keep the confit warm. 5. Put the dumpling rolls in water, bring to the boil and cook for 15 minutes at medium heat. 6. Simmer the fresh red cabbage juice for 10 minutes. Spoon off the foam, add vinaigrette, sugar and salt, and simmer for another 10 minutes. 7. Put the slightly cooled liquid with the xanthan into a mixer, and foam it. 8. Bake the confit for eight minutes at 200 °C. Put a large spoonful of sauce onto each plate. Place a dumpling roll and a duck confit on the sauce, parallel to each other. Add three generous dollops of red cabbage foam. Not quite as close to the riverbank, but also in the Old Town, is another exceptional venue. The Grand Cru lies somewhat hidden in a small side street in the direction of the Florenc neighbourhood. This restaurant, which also has an elegant wine bar, is in a building that used to be a watermill. Guests may dine in a glass conservatory connected to vaulted stables, which have been charmingly restored. The ambience is as unusual as the cuisine. 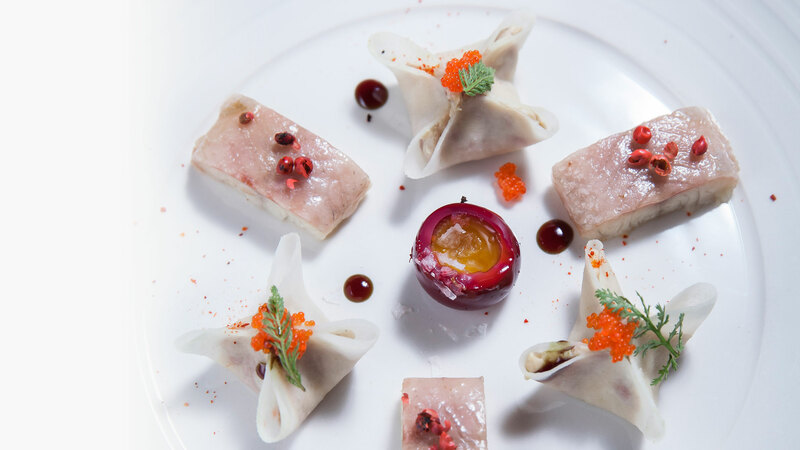 Chef Jan Punčochář and his team prepare exquisite menus with French and Asian flair. Guests should bring both enough time and a relaxed attitude – the “degustation menu” alone consists of eight courses. Smoked eel with crispy kohlrabi and poached quail egg is followed by grilled lamb with trumpet mushrooms and star anise sauce. Punčochář places a premium on seasonal ingredients – including game and mushrooms from local forests. “Under no circumstances do we want to detract from the taste of the ingredients,” Punčochář says. We only use seasonal products. The truffles and oysters arrived today, and we’ll use them right away. 1. Carefully rinse the meat with cold water and pat dry. Cut into four equally sized pieces. 2. Lay the filets onto a sheet of baking paper and drizzle a little olive oil on top. Fold the parchment so it covers the meat, and pound into a very thin tender slice using a meat hammer. 3. Cut the slices in half and sprinkle with a little salt and pepper. 4. Cut the cauliflower into florets, and dice two mushrooms. Sauté them with the florets in olive oil. 5. Add salt and pepper to the mixture as desired, then add butter and a few more mushrooms. Form the mushroom and cauliflower mixture into balls and place on the plates. Wrap the meat around them and lay a few mushroom slices on top. Garnish with a few drops of olive oil, dried porcini and pine nuts. Add shaved truffles to the carpaccio for the final touch. A similar approach is being taken at Paul Day’s Maso a Kobliha pub. The Brit came to the Czech Republic ten years ago – and stayed. Today he runs two restaurants. 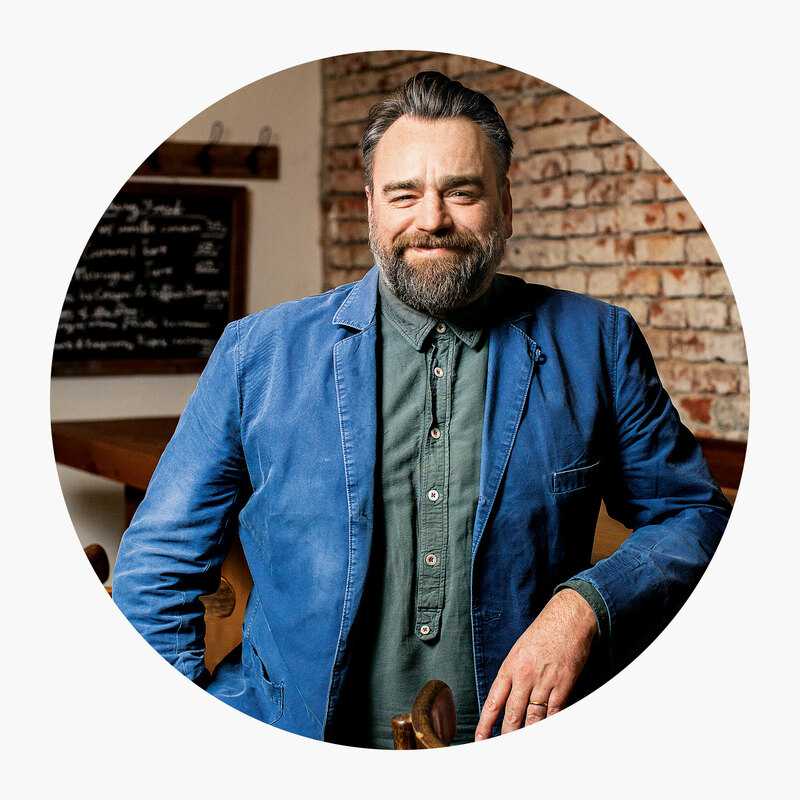 The trained butcher seeks to make his guests feel at home. Inspired by British pub culture, Day likes them to start with a beer from the small Matuška brewery. The menu features robust fare such as burgers and grilled cheese. And guests sit at long, rough wooden tables with a rustic modern look. For groups, roast meat is usually brought uncarved and steaming to the tables. All of the meat comes from selected local farms where the animals are free to roam. 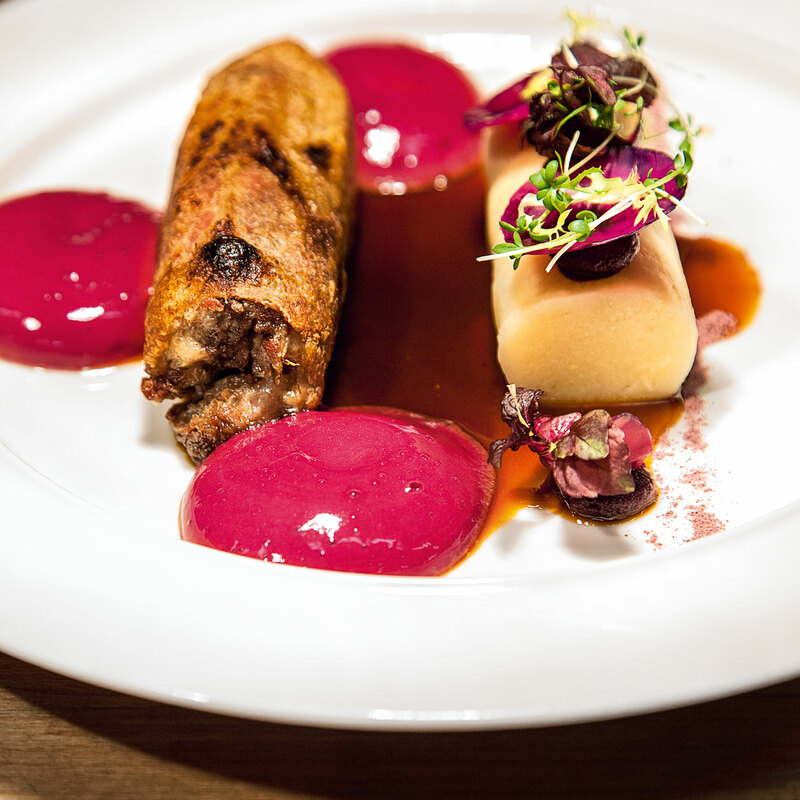 The foundations of this ­nouvelle Czech cuisine lie in a newfound awareness. And also, of course, in good taste. I put my philosophy of good food into practice here. We grow our own vegetables, and our pigs live happy lives on pastureland. 1. Simmer the pork skin for about an hour until soft, then drain. 2. Cut the skin into thin strips. If you don’t have a slicing machine, a sharp knife will do. 3. Lay the strips on a rack so the fat can drip off, and bake in the oven at 160 °C for 20 minutes. In order for the skin to become crispy and golden, raise the temperature to 170 °C and bake for an additional 5 minutes. 4. Remove the skin from the oven and season with sea salt and chilli flakes as desired. 5. For the dip: hollow out the avocado, and put the pieces into a small bowl. Add the finely chopped coriander and other ingredients. Mash to a creamy consistency. 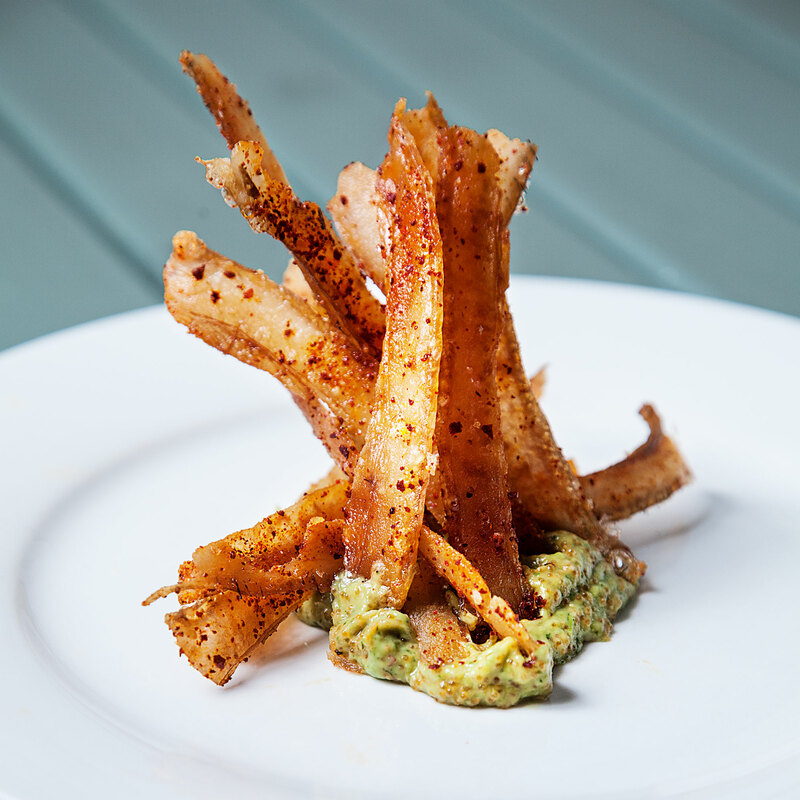 Spoon some dip onto a plate and stick a few strips of crispy pork skin into it. Garnish with a little caviar.